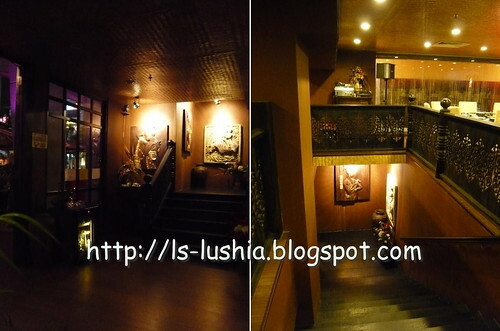 The Taiwanese restaurant that I wanted to visit ages ago. 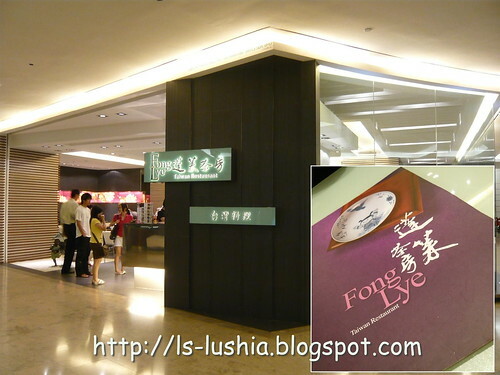 It is always crowded and that's the reason that the visit to Fong Lye is always delayed. "Am very hungry and I can't wait!, I will die!" 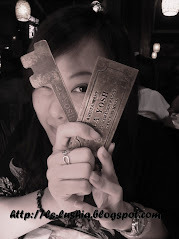 Was at The Gardens the other day and finally visited Fong Lye Taiwan Restaurant for dinner! 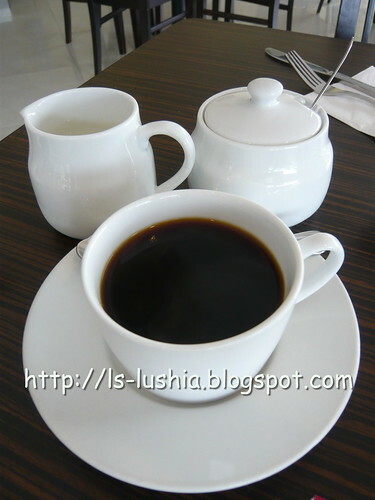 My knowledge towards Chinese Tea are little but here is some of it to share. 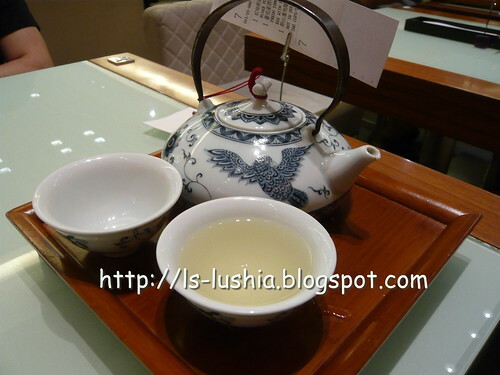 Oolong tea (Black Dragon Tea) are grouped as clear tea (qing cha), tasted green. 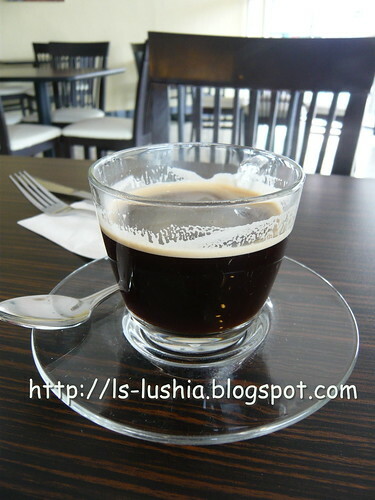 It's good for health as it contains a substance named "polyphenol" in it. 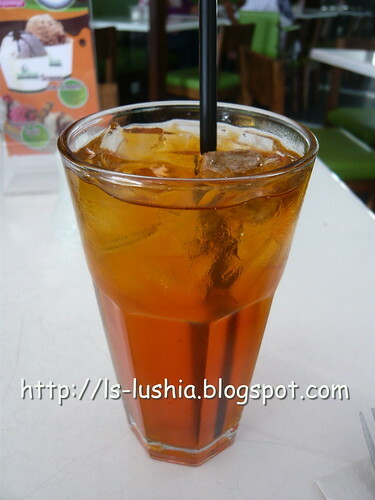 From the research over the years, it proves that Oolong tea helps to control obesity and tooth decay. Am glad that as I eat and post. I learned, and I am sharing it with everyone! 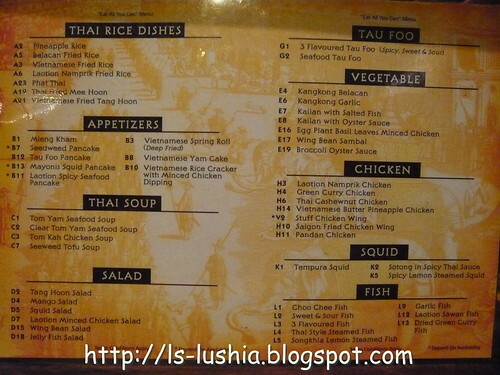 One of the recommended meal listed in the menu. Sam ordered this set and I scoop a few spoonful to taste. Did you see that word "SPOONFUL"? Greedy me! 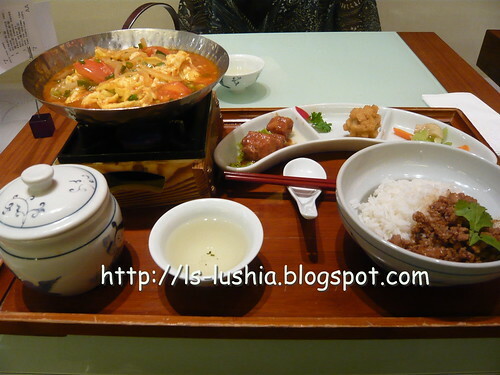 The set comes with fried fish fillet and eggs cooked and boiled in fresh tomato sauce, white rice topped with minced pork and appetizers- spice cubed pork, a yam meatball and a small portion of fried vegetables. The tomato sauce was good. 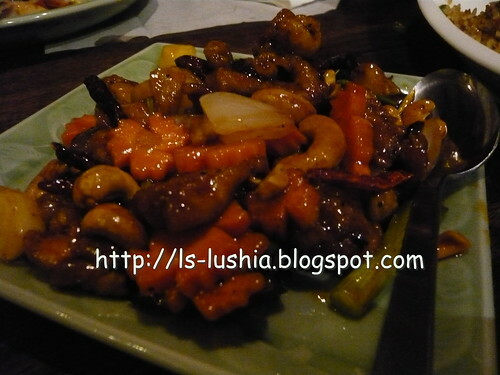 Sweet and sour with a zesty feel in it. 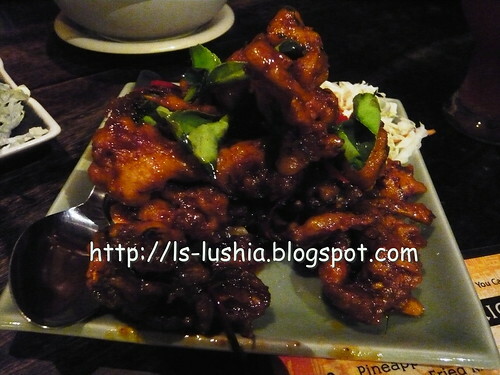 Probably this is the reason why I am hungry after 2 hours! 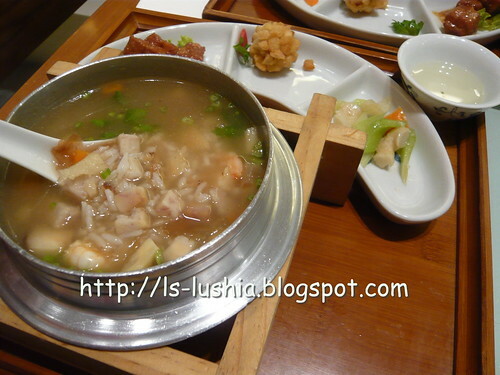 The Mixed porridge set are actually rice with soup. 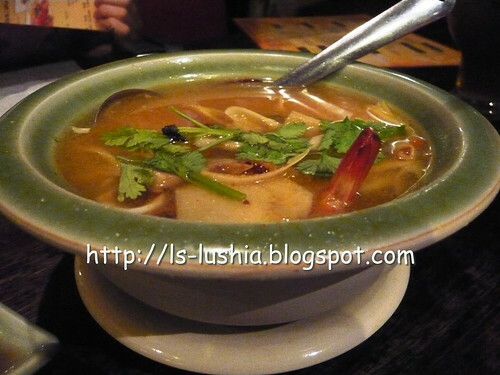 The soup tasted alike with the soup base I use to prepare "tong yuen'- in a word, it's good! The only difference with the soup base is that yams, carrot and fried onions and no chicken/pork added are added in the soup. 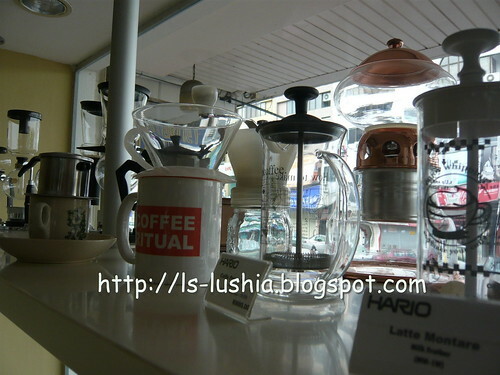 Have been delaying many post. Duhhh...... my busy days gonna end only at the next few months. 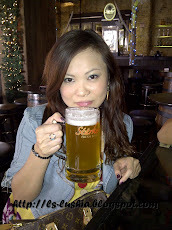 Well, at least I had a perfect Saturday lunch outing with my close friends last week. 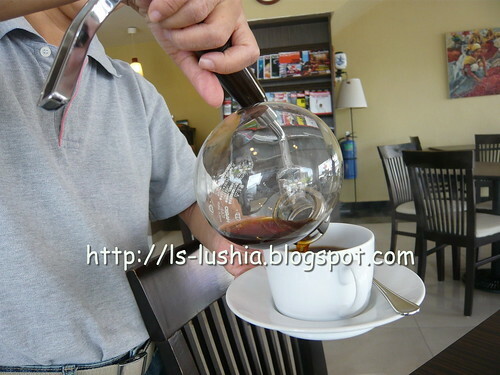 I have been reading good reviews on Cova Cafe, Lounge & Bistro and was quite excited about it. Have not seen any bad reviews anyway and since they do have a few Vegetarian dishes in their menu, I suggested Cova as the venue for lunch this time. How's the lunch? I know Carbonara is supposed to be rich and creamy. 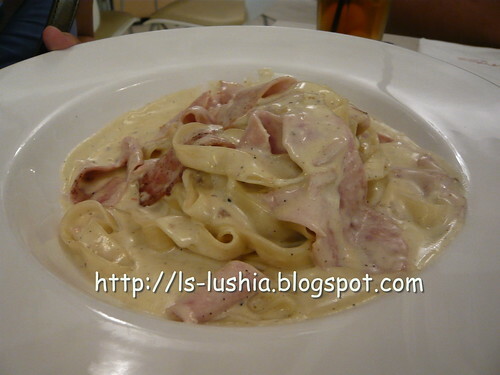 But this is overly rich and creamy, poor Hui is nibbling at her plate of Carbonara. I bet after a few mouthful of the Carbonara, it makes anyone feeling heavy and over filled like a clumsy elephant! Too salty too. Sorry Hui..... wrong suggestion huh! 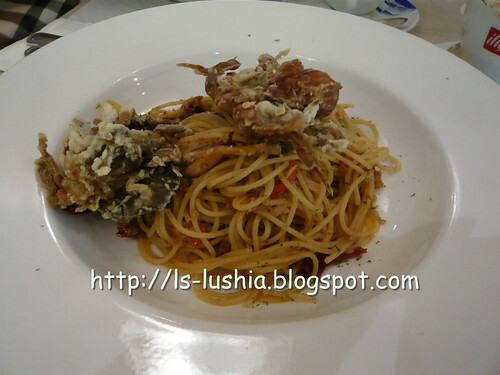 And then, this is What I have ordered, Spicy Crab Vermicelli. Vermicelli?? or Spaghetti? Am confused now. Vermicelli is non pasty isn't it? It's more like spaghetti to me it's soft not al dente enough. Taste wise, it's slightly spice, other than that it's bland. Did not try the soft shell crabs because it's too oily and it's stated in the menu served with "crab meats" and I thought it is served with crab meats(remove from the shell) and not soft shell crabs. We were asking the attendee if they have Vegetarian dishes and we were informed that it has been removed from the menu. My fault! 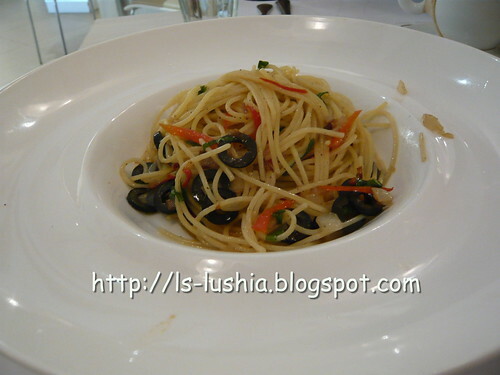 I should have called up to check with them And then, she suggested plain Aglio Oglio. But, why there is onions in it? For Vegetarians, it's not only no meats, it should be no onions, no garlic too....Are you aware of it? For this? Mr. Give me Beer excitedly ordered a glass of Kilkenny to go with his plate of Nasi Ulam Cova and both turned out to be .................See comment card below! 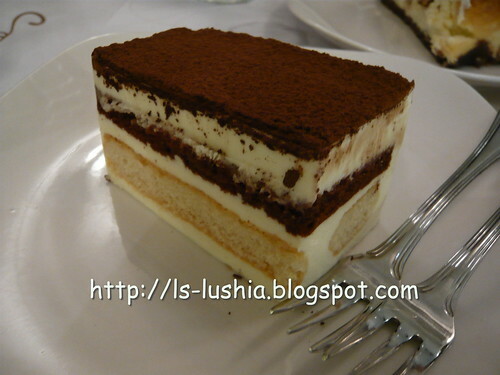 Just like any other Tiramisu. Beautifully baked, simple and fresh. My first time trying Tiramisu with sponge fingers. The most cheerful piece of cake during out lunch. Seems like everyone likes it. 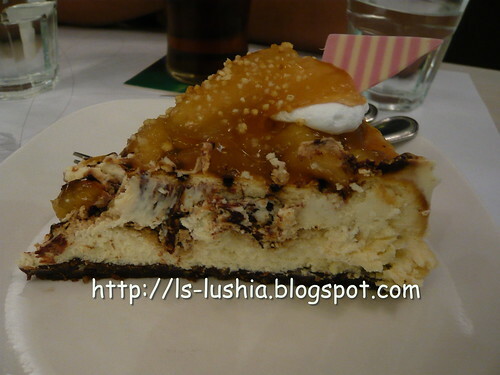 Fresh Apple cheese cake with chocolate base topped with apple and it's puree sprinkled with grounded peanuts. 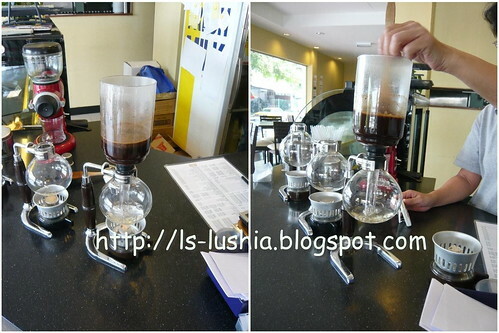 Complex combination of sweet, sour and chocolaty taste that charms everyone- Must try! Nice hand writing?? Not mine! 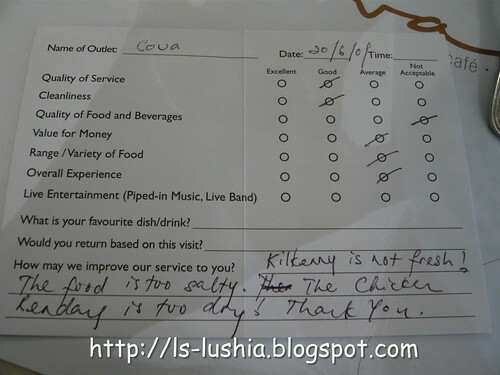 Overall experience at Cova- so-so only. Could be better! Should be better too! 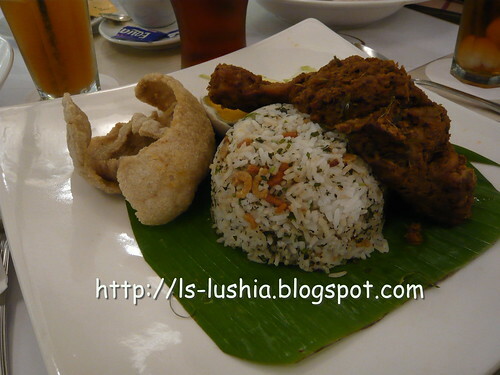 I was craving for Malay food and I recalled Belanga @ The Gardens. Am not sure what kinda Malay food Belanga is serving but am sure the restaurant definitely serves Malay cuisine. 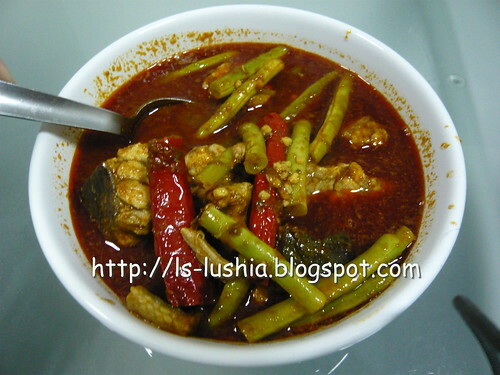 Yummy yummy...... something spicy!! Belanga (crokery cooking pot) a nice an inviting name indeed! 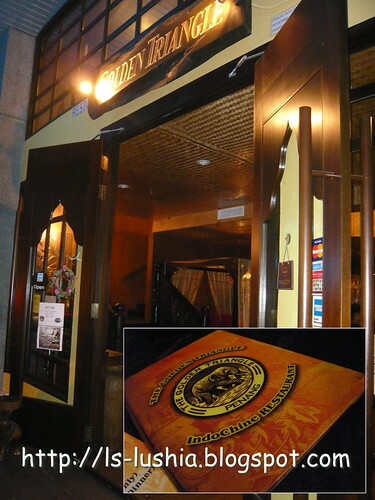 Belanga @ The Gardens serves Kelantanese cuisine with it's very own specalities rarely since elsewhere is Malaysia. 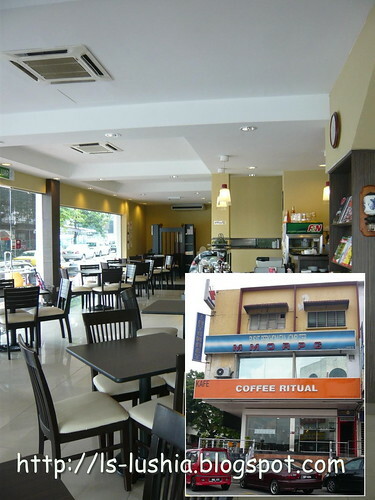 Belanga Restaurant serves varieties of Kelantanese cuisine like Nasi Dagang, Nasi Tumpang & Nasi Kerabu. 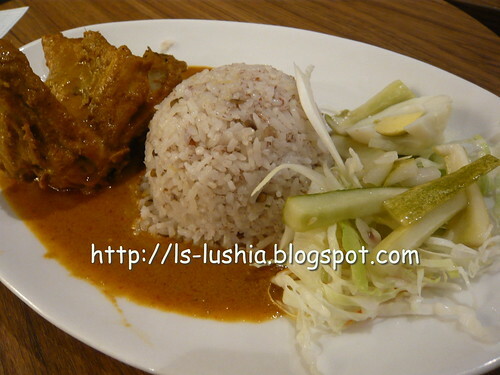 Nasi dagang originating from Kelantan, a Malaysian dish consist of steamed coconut milk rice served with curry (chicken/fish/beef), hard boiled eggs and vegetable pickles. As simple as the dish is,white rice mixed with brown glutinous rice steamed with coconut milk, blended onions and garlic with spices was excellent. The rice portion was not enough but with the generous portion of the curry chicken, it's extremely filing. Overall rating- Good! Nasi Kerabu literally known as rice salad, a cuisine from Kelantan too. There are varieties of Nasi Kerabu in Kelantan- white, blue & yellow in color, all prepared in different way. Nasi Kerabu served by Belanga is Nasi Kerabu Kuning. 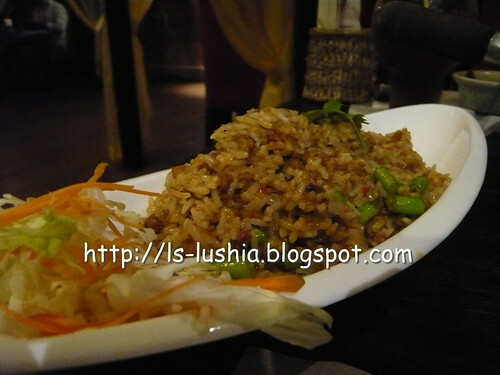 Rice was prepared with tumeric, herbs and spices. 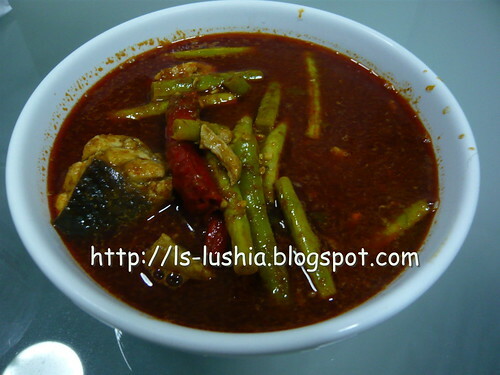 We ordered Nasi Kerabu with grill fish (grill ikan kembong) which is served with watery hot and spicy chilli sauce. 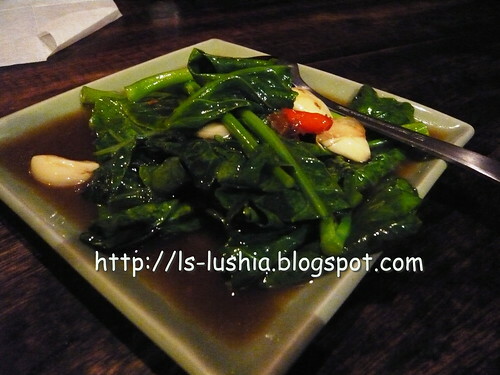 Kerabu (salad) are vegetables served green and fresh- daun kesum, bean sprouts, shreded cucumber. 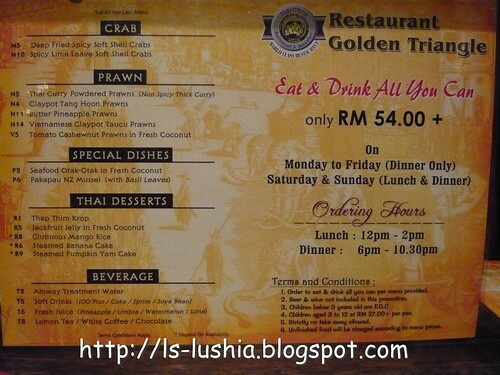 Apart from it, keropok ikan, fried desicated coconut with dried shrimps, and half a salted egg are served too. Superb! 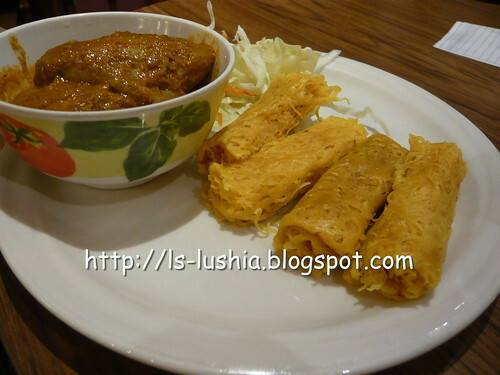 Roti Jala directly tranlsated to English means "net bread". 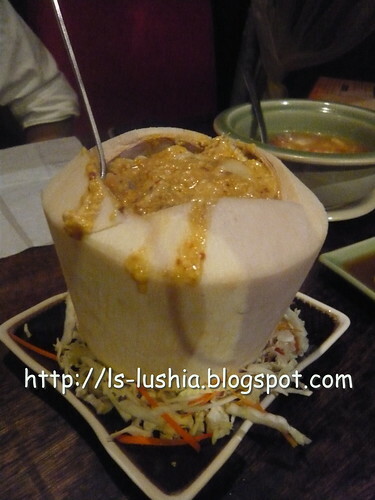 The bread is prepared using a special ladle with five hole perforation resulting the bread looks like a fish net. The roti crepe was a little dry. 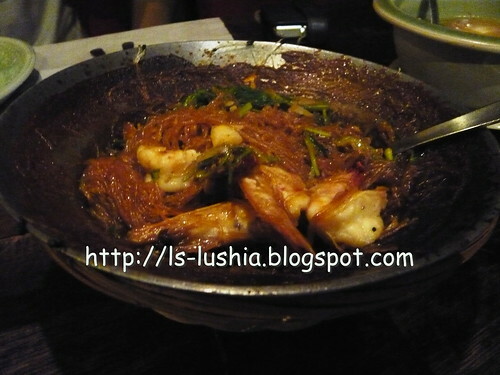 Nothing much special about this dish. Most of the dirnks are not available during out visit. 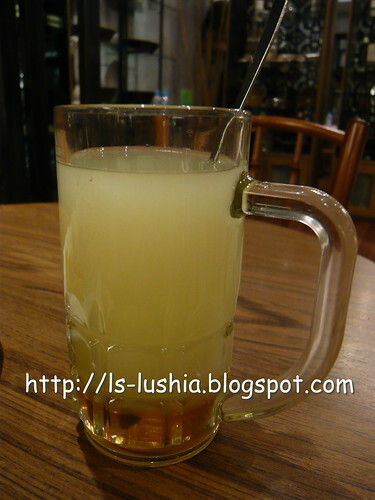 I tired the Halia Honey, thick ginger juice with honey. It's marvelously hot and wakening. Ahhhhh......... thumbs up! 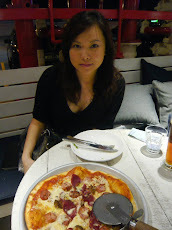 Although most of the items are not available from the menu, the dinner was more than satifactory. 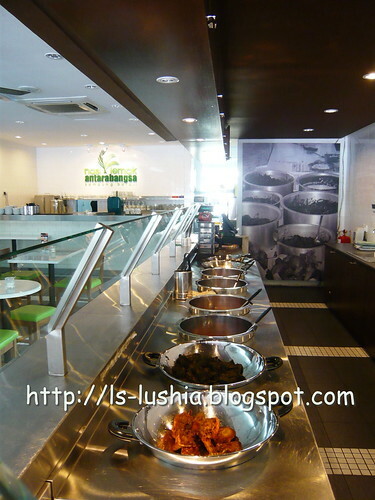 If you are craving for Malay Kelantense cuisine, do consider Belanga @ The Gardens! 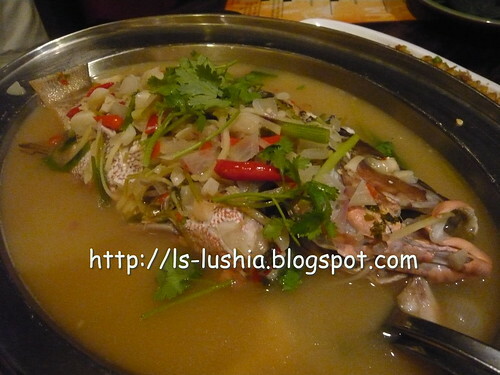 Fast & easy way to cook Assam fish without any pounding or grinding in the kitchen. Step 1: Head to the nearest supermarket, buy a packet of Brahim's Spicy Tamarind sauce and any type or your preferred fish. Clean & cut the fish and vegetables( if any). 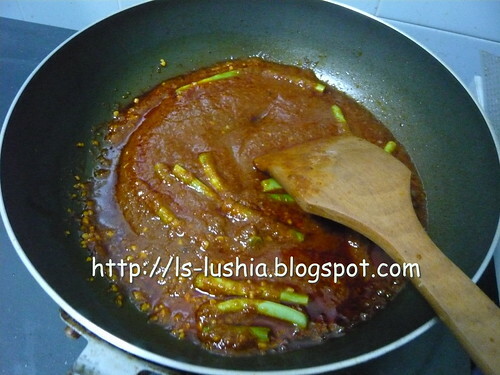 Step 2: Pour the tamarind sauce into the frying pan and then the vegetables. Stir fry it. 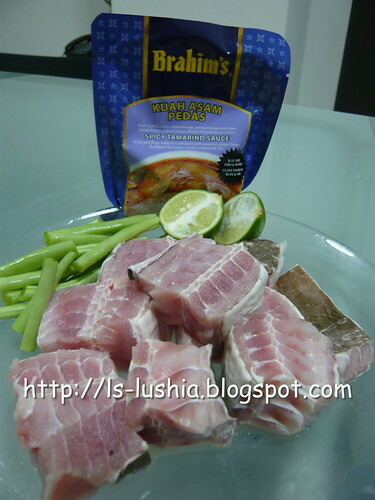 Step 3: Insert the cleaned slices of fish (stingray- my preference). Add in some water, simmer till done. Step 4: Hard boil 1 or 2 (or as many as you want) salted eggs to go with the Assam Fish. Remember to cook some rice too! 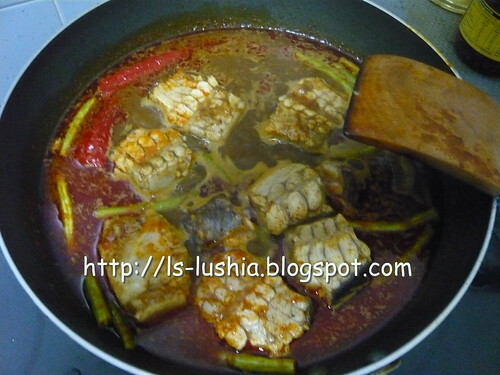 Step 5: Once cooked, place the Assam Fish in a bowl. Step 6: Tada!!!!!! Start eating, eat as much as you can! Step 8: Done with the cleaning? Make some drinks then. 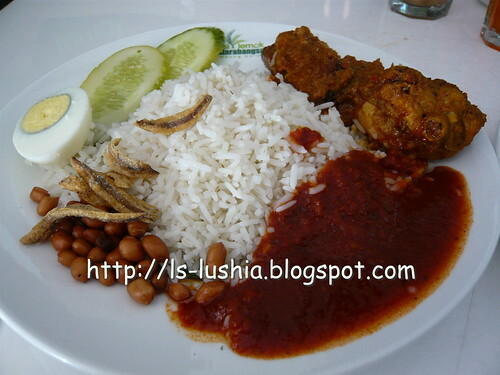 Nasi Lemak, one of the national dish of Malaysia. 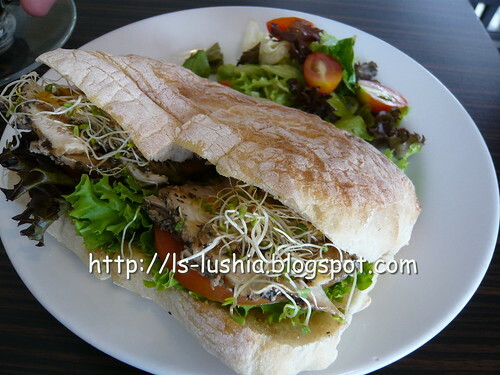 A dish that is eaten at any time and easily spotted at every street corners to local themed cafes/restaurants. 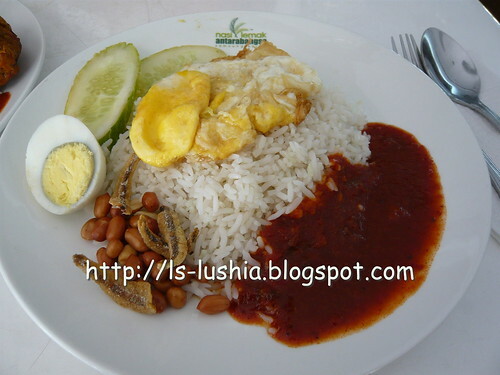 At all times, my craving for Nasi Lemak ends at CT Garden . But this time is different, we were at Setapak last week and I saw this quite attracting greeny signboard "Nasi Lemak Antarabangsa Kampung baru (since 1973)", one of the famous Nasi Lemak eating place in town and then we popped in to have our brunch! 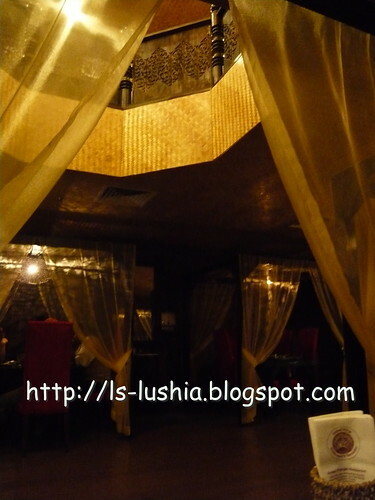 Not that the food is not nice, but expected something much better. Would probably visit their first outlet and Kampung Baru. Any differences? Anyone?